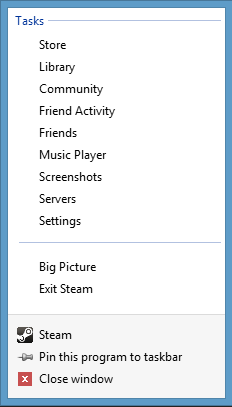 Windows is full of so many handy little features it's easy to forget some of them if you aren't using it every day. 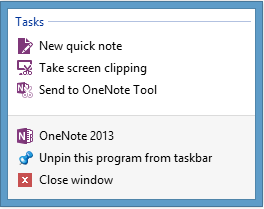 One such feature is Jump Lists, which is the app-specific menu that appears when you right-click a desktop app icon on the taskbar. Many apps, if they use Jump Lists at all, simply use the feature to show your recently opened files, along with an option to permanently pin specific files to the list. That's a great feature, but Jump Lists can be far more useful and productive than that. 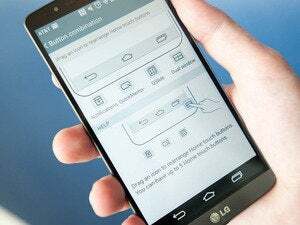 They can, for example, allow you to jump to a specific section of an app or open the app with a specific mode or setting. There's really no limit to what a Jump List can do. Here are a few examples of apps that make Jump Lists really shine. The Jump List for Steam for Windows. Valve's Steam desktop app is a great example of what you can do with Jump Lists. Steam's Jump List provides shortcuts to multiple frequently used sections of the app, including the storefront, your personal game library, your friends list, the music player, the Steam community, and more. The Steam Jump List makes it that much easier to leap right into the section of the app you need instead of waiting for the app to open and then navigating through the app's UI to the section you need. And if you never use any of the Jump List's default sections, you can remove specific listings in the Steam client's settings, and they'll be replaced by your most recently played games. Microsoft's OneNote has a Jump List that makes it easy to use the note-taking app's extra features, such as screen clippings, sending content to OneNote, and starting a new quick note. The three major Windows browsers share some pretty common Jump List features that can help you be more productive with your web browsing. Chrome's Jump List lets you switch between profiles. Chrome offers a list of recently closed tabs, while Firefox and IE opt for listing frequently visited sites. 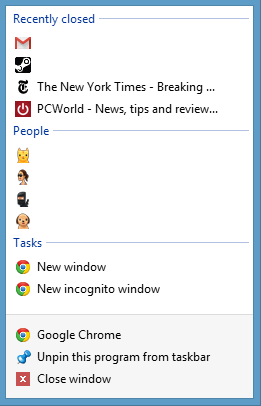 Jump Lists for Firefox and IE allow you to open a new tab, Chrome and Firefox let you open a new window, and all three let you start a private browsing session (incognito mode in Chrome) from the taskbar. Another nice feature that Chrome's Jump List offers is the ability to switch between user profiles. There are far more apps we could talk about that have productive Jump Lists, such as email apps that let you compose a new message or Windows Media Center's Jump List, which shows you your latest TV recordings. The next time you're in front of your PC have a look at the Jump Lists available on your favorite apps. 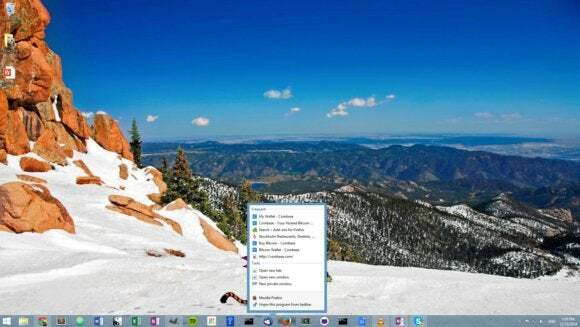 It might surprise you just how handy they can be if you get in the habit of right-clicking your taskbar.